Melania Trump, wife of Republican Presidential hopeful, Donald Trump has been caught in the dirty act of plagiarism. CNN reports that on July 19th , which was supposed to be Melanie's official introduction to voters her speech contained several lines stolen from Michelle Obama's 2008 speech. The Trump campaign released a statement on the speech after the similarities were uncovered. They said, "In writing her beautiful speech, Melania's team of writers took notes on her life's inspirations, and in some instances included fragments that reflected her own thinking. 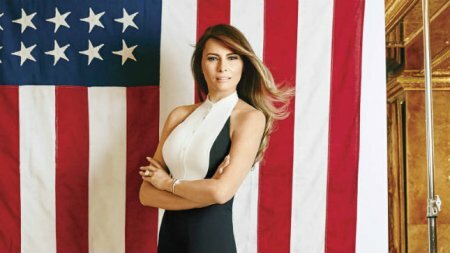 Melania's immigrant experience and love for America shone through in her speech, which made it such a success. It is unclear whether the plagiarism was a mistake or a stunt intended to garner more publicity for the Trump campaign.